This month’s meetup we are welcomed back at the Erasmus Centre of Entrepreneurship in Rotterdam where Camilo Sperberg and Ramon de la Fuente will be presenting their talks ! Update: Ladies and gentlemen, we’ve got pizza! This month we have a special treat from our friend, and regular 010PHP meetup attendee, Jeffrey Cafferata! 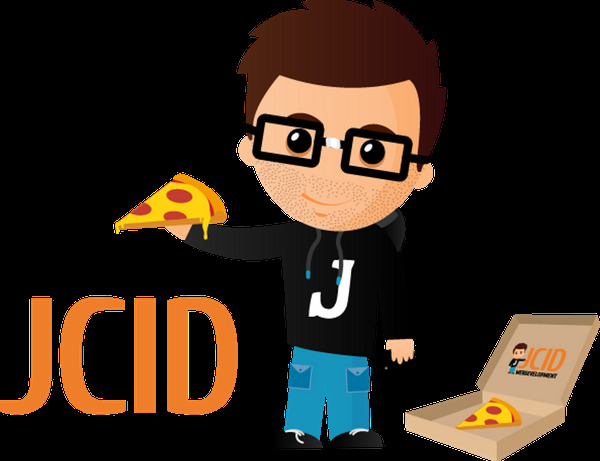 He’s the proud owner of JCID.nl, where they craft beautiful software and platforms for their customer. They are looking to expand, so feel free to discuss job opportunities over a fresh hot piece of pizza. Your site works as a train. It is perfect and it works for your main audience until your boss shows up at your desk and wants you to make some “”small”” changes in order to launch the site in Saudi Arabia. Suddenly, hell breaks loose: you realize that your perfect working site doesn’t offer proper UTF-8 support, and neither does it support proper date or currency formatting. As a child, your mother never informed you that there are people out there with names such as “”Bølla Cañiupán””. Even worse: 5 years ago nobody thought that the site would be that successful so nobody cared to even include basic translation support. This talk will introduce you to take into account several tips, ranging from collation and charset usage in MySQL to some handy datetime functions in PHP. We will also be reviewing some translations formats and its pros and cons, not to forget some handy CSS tips in order to be able to easily implement LTR writing style. Emailing people with strange names is also (a lot) easier than you would think. 19:00 – 19:30 – Doors open and Pizza ! Pizza everywhere! 21:15 – 22:00 – Round up and start of Social! Share this meetup to your friends and colleagues and we hope to see all of you on April 14th!